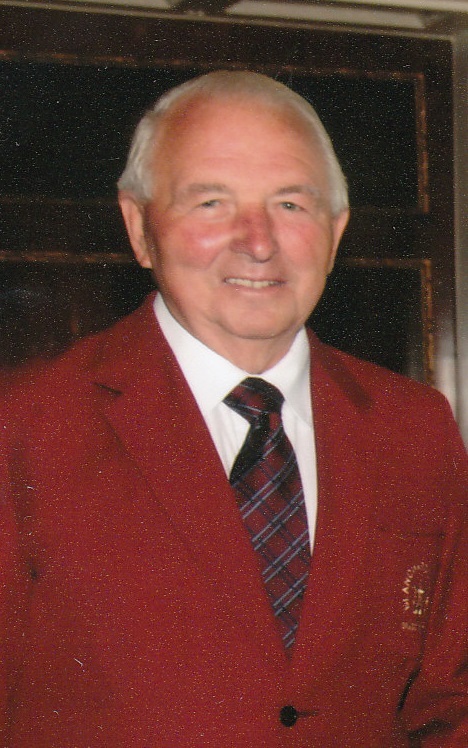 The members of the Band are very sad to hear of the passing, following a short illness, of our great friend and President of the Band Joe McGregor. Joe was a lifelong Band member and last year celebrated his 70th year playing Christmas Carols with the Band. Joe joined the Band in his early teens and played Solo Cornet for many years before moving to Baritone which he played up until his recent illness. Joe was always a dedicated member and musician, and seldom missed rehearsals or performances. As a Solo Cornet player he was renowned for his easy vibrato style which made him an excellent soloist. Joe was always a gentleman and he had a great interest in helping the younger Band members and he gave them great encouragement. 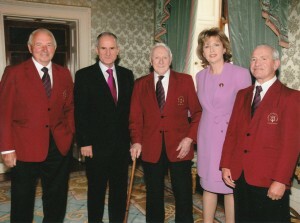 In 2012 Joe was asked to accept the role of President of the Band in acknowledgement of his lifetime service. Joe will be sadly missed at rehearsals and on performance, but he will be remembered as one of a dedicated group of musicians who steered Blanchardstown Brass Band for over 70 years and are sadly no longer with us. 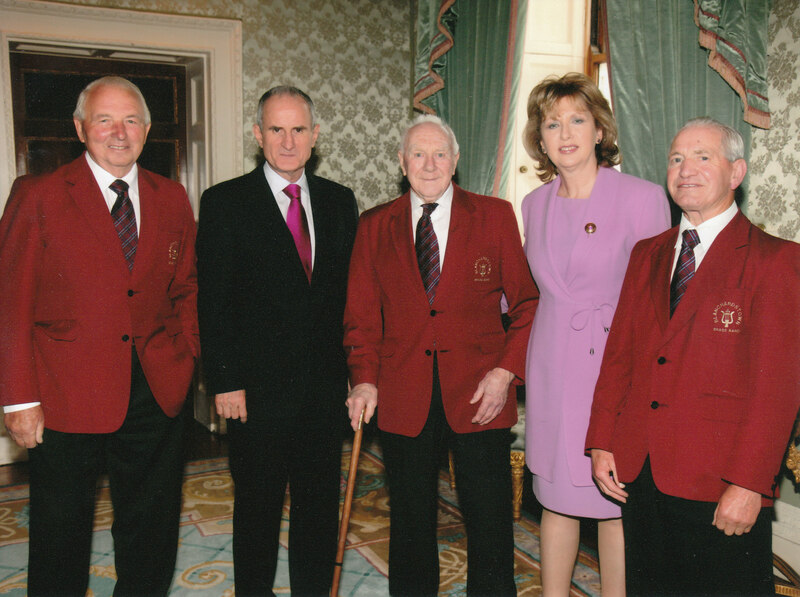 Joe McGregor RIP on left with Martin McAleese, Michael Harford RIP, President Mary McAleese & Eugene Tully RIP.